The wedding day is one of the most important events in a person's life. A special day where a couple makes a life commitment to their partner. We’ve seen them time and time again, the classic scene. The groom and his best men wait for his bride-to-be at the alter. Then she makes her way down the aisle escorted by her father. It truly is a day to remember. Not that there’s nothing wrong with the classic scene but how about spicing it up a bit? And what better way to spice it up then to make a grand entrance with your very own custom made Pro Am Championship Belt! The designers at Pro Am will provide you with the utmost devotion when designing your own belt on your very special day. Select your own belt color, add your types of jewels, thick gold or silver plates, etc. No matter what, the Pro Am team will see that the bride and groom look like the champions they are. Why stop their?! 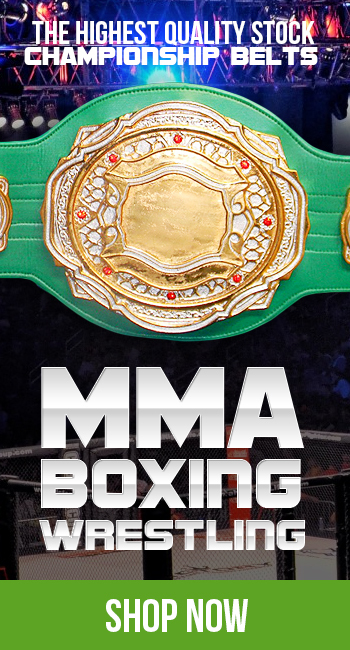 Deck out the entire wedding party with their very own custom championship belts. After all, this is your special day. Why not turn this day into a championship day! Contact the Pro Am team today to get you custom championship wedding belt in the works.